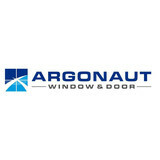 Portalais offers a diverse collection of Domestic and International custom doors and windows of the highest quality, in wood and steel, along with the highest in energy performance aluminum fenestration products from Europe. With today’s design trends in custom home construction in mind, Portalais has created unique partnerships that provide access to both mid-range custom windows and doors as well as exclusive one-of-a-kind specialty items to deliver quality and selection for our clients. Portalais also offers specialty wood and stone flooring as well as access to other unique stone elements and antique roof tiles. With a brand new showroom in Santa Rosa, CA, we have customized our product offerings and finishes with mid-range and exclusive custom products to serve the increasing demands for value as well as quality and beauty in today’s architectural designs. Call us today! 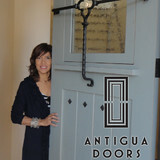 Door Beautiful, a Santa Rosa based company, specializes in the design and installation of new custom doors. With 25 years of experience in the industry, we value our relationships with our clients. And in order to maintain these relationships, we are committed to providing our clients with quality and timeless craftsmanship and excellent customer service at competitive prices. Save Energy Company sells the top brands of replacement windows & entry doors through our knowledgable, congenial, no-pressure project consultant/estimators who visit your home, at your convenience. A showroom at the Petaluma office is available for those who want to see and touch the products before buying. Once windows &/or exterior doors are purchased, their in-house crew of experienced, factory-certified craftsmen will install them with the commitment to leave your house clean and neat -- as if they were never there. 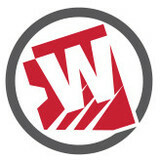 The family owned and operated company carries products in various shapes and syles from top manufacturers such as Simonton, Milgard, Marvin, Cascade and more. Most of the window manufacturers offer lifetime warranties on their products and Save Energy goes beyond and offers a lifetime warranty on the professional installation as well as a FREE one year check-up, upon request. Save Energy Company serves Sonoma, Marin and San Francisco counties. Door Tech, Inc. (D.T.I) has been in business for 14 years. We have experience in the pre-hung door industry with extensive knowledge of residential and commercial doors, mill work, and hardware. We have an extensive client list project ranging from semi – custom tracts, custom homes and commercial jobs. Our mission at D.T.I is a simple one to provide the best quality products and service possible, accurately, and on time, according to your schedule. We would like to think that there are no projects that we cannot handle, weather it is a simple remodel or a large custom home. We want you to rely on our door, mill work and hardware experience and knowledge so that it’s one less thing that you will need to worry about on your construction projects. Feel assured if you use D.T.I you will receive the best, with no surprises. What kind of services do San Rafael door dealers provide? Door dealers are responsible for a variety of services, including door installation, replacement, door repair and custom door design. If you need a new door, San Rafael, CA door dealers will help you determine what kind you need, as well as shape, color, size and more. From barn doors to French doors to front doors, these professionals can help you choose, install and maintain your door investments. Wood doors are beautiful, versatile and tend to be the most popular choice for both interior and exterior doors; they are easy to custom build, and include oak, cherry, walnut, mahogany, maple, fir and pine. Some standard wood doors have MDF cores wrapped in wood veneers, which minimizes the chances of warping as real wood expands when wet and contracts when dry. If your heart is set on a wood door but you think the San Rafael, CA climate might cause it to warp, talk to your door professional about a furniture-grade veneered door. Aluminum doors have an insulated core and come in a variety of colors and finishes. With a baked-on enamel finish, they won’t rust or need repainting, and many come with a 20-year warranty. Next to wood they are the most expensive and have to be custom-made. A San Rafael, CA door dealer can help you find a reputable aluminum door manufacturer. 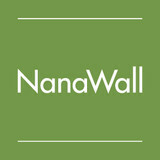 Find door dealers and installers in San Rafael, CA on Houzz. 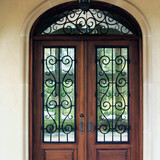 Look in the Professionals section of our website and search for San Rafael, CA door dealers and installers. Read reviews, look at project photos and see how a pro can help with your home improvement project.